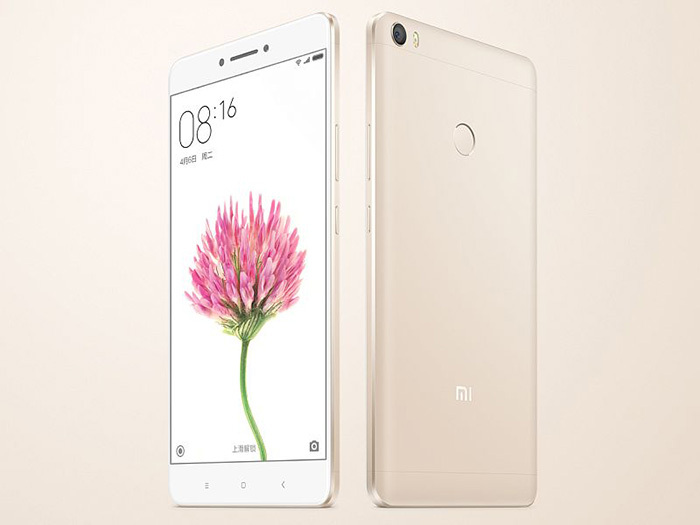 Xiaomi acts big and releases Android 6.0 smartphone Mi Max with 6.44″ IPS screen with Full HD 1080 x 1920 pixels resolution and tough Corning Gorilla Glass 4, 4G LTE, 16 MP main camera and 4850 mAh battery. From other modules it has : 8-cores processor Qualcomm MSM8976 Snapdragon 652 or 6-cores Qualcomm MSM8956 Snapdragon 650, depending on modification; 3 or 4 GB of RAM; graphical chip Adreno 510; 32, 64 or 128 GB of on-board memory, also depending on modification; bay for Micro SD flash cards with 200 GB max size; and 2 Nano SIM cards slots. Smartphone can work in 2G ( GSM 850, 900, 1800 and 1900 and CDMA 800 and 1900 ), 3G ( HSDPA 850, 900, 1900 and 2100, CDMA 2000, 1xEV-DO and TD-SCDMA ) and 4G LTE ( 2100, 1800, 2600, 1900, 2300 and 2500 ) networks, supports GLONASS, GPS+A-GPS and BDS satellite navigation and contains acceleration and proximity sensors, gyroscope, electronic compass and fingerprints scanner. 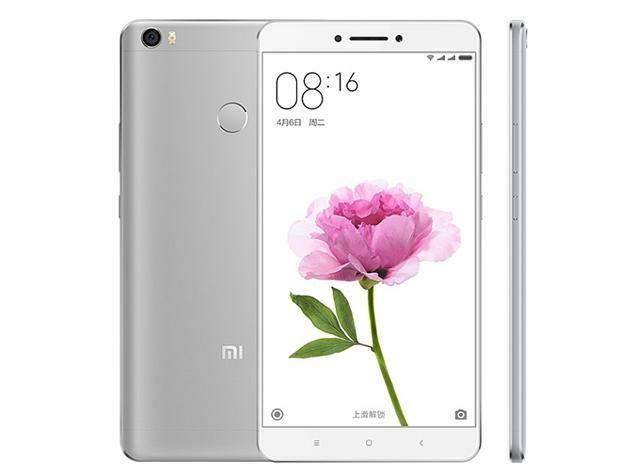 Xiaomi Mi Max has 2 very good for smartphones cameras : 16 MP frontal one with autofocusing, HDR and double LED flash, as well as 5 MP frontal one; it supports Full HD 1080p and HD 720p video recording with frame rate up to 120 per second. Smartphone can establish wireless connections Wi-Fi ( 802.11 a/b/g/n/ac, Dual-Band, Direct, DLNA and Hotspot ), Bluetooth 4.2 ( A2DP and LE ) and NFC for remote data transfers and communications with other devices; also it can interact via infrared port. On its external panels there is ability to find : Micro USB 2.0 port for connection to computer, battery charging and external devices plugging in via OTG and USB Host; 1/8″ mini jack headsets and headphones connector; microphone and speaker; as well as power and volume control buttons. Xiaomi Mi Max works on MIUI 8 platform, based on Android 6.0 operating system, there is ability to acquire Android applications for it in Google Play, Yandex.Store and other shops. Mobile device’s sizes are 173.1 ( height ) x 88.3 ( width ) x 7.5 ( depth ) mm and mass is 203 g; its body is made from metal and battery charge is 4850 mAh, which is a good value for smartphones. Package with Xiaomi Mi Max contains : USB cable, recharger, headset, warranty card and user’s guide. Smartphone is very good : having large IPS screen, operating system Android 6.0, 4G LTE, high-level cameras, powerful system and capacitive battery; it should appear in shops in May of this year, its cost will be according, but, taking into account company Xiaomi prices policy, there is ability to anticipate, that it’ll be one of the smallest among similar to it smartphones.